A box of Tom's of Maine toothpaste. A U.S. District Court judge in Florida’s southern district last month gave preliminary approval to the settlement that stands to return to affected customers about $28 per claim and up to about $1 million in attorney’s fees and expenses, according to court records. With the settlement, the Kennebunk-based Tom’s of Maine Inc. denied any wrongdoing. 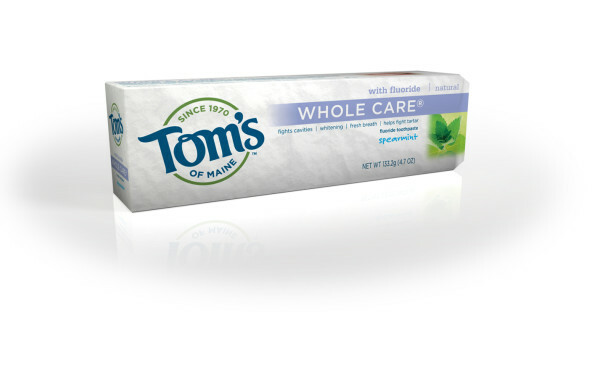 Colgate-Palmolive Co. bought Tom’s in 2006 in a $100 million cash sale. The claims related to a range of Tom’s products that contained the compounds lauryl sulfate, propylene glycol, poloxamer 355, aluminum chlorohydrate and titanium dioxide. Preliminary approval of the class action last month opened the process for customers to file claims for any such products purchased between March 25, 2009, and Sept. 23, 2015, according to a website set up by Dahl Administrators, at tomsproductsclassaction.com, to provide notifications about the case. The company, employed to manage notification to possible class-action members, began issuing notices of the claims in late September and issued a news release about the class action suit Friday. The terms of the $4.5 million settlement will require final court approval at a hearing scheduled for January, and claims will be collected through May 7, 2016. That hearing will determine whether the terms of the preliminary settlement are fair and whether the members of the class meet federal rules. The court is accepting objections to the settlement in the meantime, as well. One objection has been filed in the case so far, from Fremont, California, resident Rebecca Harris, who wrote that she has been a Tom’s customer since 2009 and has no problems with the labeling. “While I have no expertise on these matters of fairness in advertising, I find this lawsuit to be a form of bullying,” Harris wrote, asking to be excluded from the class action.